HDU High Density Foam is an innovative substrate used for a variety of applications in the signage, modeling, aerospace, composite, architectural and design industries. With its excellent workability, grain-free consistency and broad range of densities (4 lb/ft3 through 31 lb/ft3), CORAFOAM® provides solutions to craftsmen outdoor signs and engineers alike. HDU Sandblasted Foam Signs are fabricated from open celled high density urethane (HDU). 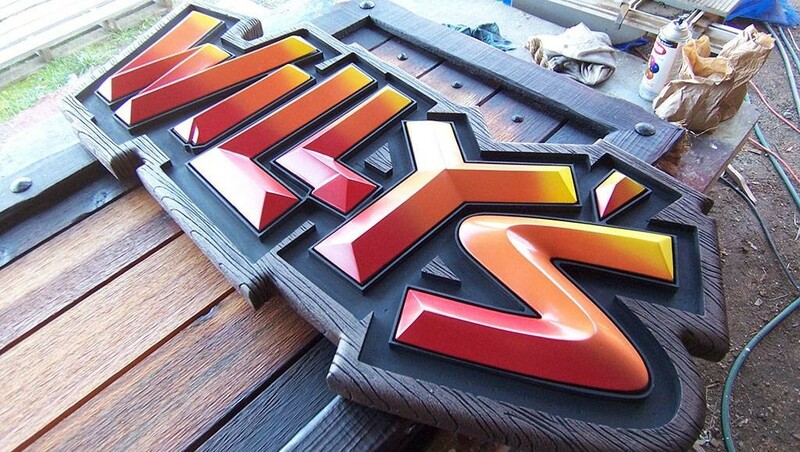 HDU Foam Signs are extremely versatile and the most reliable material for sandblasted signs. Sandblasting is a unique sign making process that creates signs which are one of a kind works of art. HDU sandblasted signs are resistance to harsh weather changes like snow, rain, ice, uv sunlight exposure which makes our HDU sandblasted signs an ideal replacement for wood and other materials in the custom sign industry. We also have the latest in all sign manufacturing technologies. From sandblasting, CNC routing, (v-groove routed and channel cut), hand carving and expert hand painted finishing. 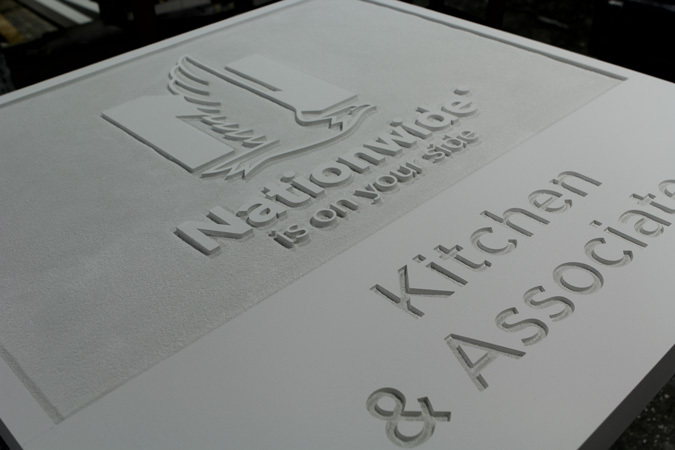 HDU sign foam delivers outstanding value to fit any budget and style like sandblasted, routed or carved. Our DUNA-USA CORAFOAM® HDU signs are stronger and lighter than wood signs. We can assist you with the best methods for installation for your client to assure the sign we manufacture for you will withstand the elements. We also can provide you with the correct mounting hardware and mounting patterns for blind stud mounts. Support Posts are also available. Our custom signs and fabrication specializes in building your brand recognition, catering to all industries and sign applications. We take care of your wholesale sign needs from conception+creation+production+painting+all under one roof = Great Signs for your customers!